I had a great conversation with a new client today. She called to ask me some things about Facebook and then we got into the broader conversation about search engine optimization, social media and building a sustainable online business. I have said it before and I’ll say it again, Facebook is not there for your benefit, they are a business that needs to make money. What better way to make a buck than selling ads on your Facebook page to your competitor? Spend the energy you would spend “posting on Facebook” posting on your own website! Instead of having your Facebook posts and Twitter tweets feeding to your website, have your website posts feed to your Facebook and Twitter pages – don’t drive people away from your website to your Facebook page, use your Facebook page to drive them to your website silly! To leverage “social media” you need to think of your website like the “social hub” of your business. In the old days people would have events in their stores such as open houses or signing events. Do this on your website now! The greatest part is people don’t have to drive there to take part. With today’s technology it is possible to host a “virtual” event and make it just as much fun as those you used to throw at the office. If you have a blog, post community building questions and ideas. Invite your visitors to see you as a human being – just like you would on Facebook – help them “get to know each other” by communicating on your blog. Use your website to get into your website visitors’ heads by using polls and offering a way for them to ask you questions. If you don’t have a blog, talk to your webmaster about how you can get one or how you can have some other way to put your own voice on your website. My Mom gets more compliments on her website http://www.joannmorgan.com than some of my larger customers – but I assure you it’s not because I designed it! I have much prettier websites in my portfolio. But Mom has made her website “personal”. She has a picture of herself and her sewing room at the top. She posts her thoughts, shares progress on her projects and has a place for frequently asked questions that she answers in a timely fashion. 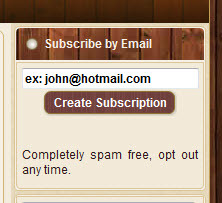 This personalization combined with easy navigation is what her customers email her saying “I love your website” about. What would make you stay on a website longer and come back to it more often?